MIT WPU 2019 Application Form has been Released. MIT WPU was established in the year 1983 by the MIT group of Institutions. This University is located in Pune, Maharashtra. It offers B.Tech, B.Pharm, BBA.LLB, B.Sc. LLB, BA, B.Com, B.Sc., B.Ed., BBA, BCA, B.Des, Film Studies and Production courses at UG level. At PG level, MIT WPU offers M.Tech, M.Pharm, MBA, M.Com, M.Ed., M.Sc., MPG, MA courses in various specializations. The university also offers a Ph.D. as a part of a research program. In this article, candidates can get the complete information of about MIT WPU 2019 includes Application Form, Fees, Exam Dates, eligibility criteria, and how to apply. MIT WPU 2019 Application Form has been Released. Click Here to Check Application Details. All applier should go through Information Bulletin carefully and follow the instructions regarding the filling of application form. Candidates who are interested can get the application through online mode on the official portal. MIT WPU 2019 Application has been Released. Candidates can fill and submit the MIT WPU application form 2019 through online mode. Submit filled application form before or till the due date on the official. Candidates are advised to enter the details carefully in the application form. While filling application upload the photograph and signature as mentioned in format. Send the required documents to the authority to sit in the examination before the deadline. Candidates must make sure to keep the printout of it for future reference. Candidates must read the criteria provided by the authority to appear in exam and admission through MIT WPU 2019 exam. Candidates will be considered to sit in the exam those will fulfill the complete eligibility criteria given by the MIT WPU. Check the criteria on official of different courses before applying. 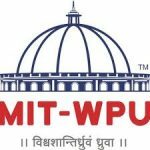 MIT WPU UG Admission 2019: BBA LLB, B.Sc. LLB, BA, B.Com., B.Sc., BBA, BCA, B.Des. & B.Ed. B.Des. Product Design 10+2 pass with minimum 50% marks MITWPU-IDDAT (Design Aptitude Test) +Studio Test + Personal Interview. Candidates must take a look at given exam dates of MIT WPU 2019 exam. Exact exam dates and details regarding MIT WPU can be obtained from the official portal. To register the MIT WPU 2019 application form candidates have to carefully read the Information Bulletin thoroughly. Candidates can fill the online application form after going through all instructions as specified on the official MIT WPU website. Appear at the official website of the university and connect to apply tab existing on the right side of the homepage. Tick on Apply Online under the obligatory course. Complete the registration form will all the required niceties and provide a copy of required documents. Pay the required application fee by way of online. Visit the official website of the university and click on the Apply tab on the right side of the homepage. Fill the registration form will all the need details and upload a copy of the required documents. If you have any other Questions related to MIT WPU 2019 Application Form, you may ask your Queries by commenting below. Application fee for B. Ed for the year 2019?